UVI Synth Anthology II Hardware Synthesizer Tour de Force www.uvi.net/synth-anthology-ii.html — Massive collection of vintage and modern synth sounds, expertly programmed — 77 hardware synths, 2,500 presets, 20,000 samples — The pure sound of hardware with software convenience and a modern interface An incredible collection of hardware synthesizer sounds, expertly programmed, individually sculpted with outboard processors, multisampled and mastered to perfection. 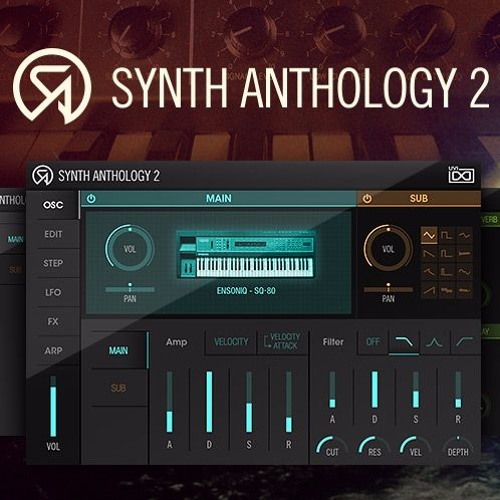 Synth Anthology 2 delivers the pure and powerful sounds of 77 hardware synthesizers gently massaged and accentuated to taste with the best hardware processors on the market. You'll find everything from classic analogs like the Oberheim Xpander and Jupiter 4 to digital powerhouses like the Synclavier and FS1R to modern classics like the OB-6, Prophet 6 and Minilogue, all expertly programmed and exquisitely sampled, delivering the authentic and unmistakable sound of hardware.